Aka no Lancer "Hero of Charity"
Lancer of Red is the Lancer-class Servant of Shirou Kotomine of the Red Faction in the Great Holy Grail War of Fate/Apocrypha. Originally summoned by one of the five puppet Masters of the Red Faction, he later becomes one of the Servants of Shirou. Lancer's identity is Karna, the invulnerable hero of the Indian epic Mahabharata. Karna was born to a human mother Kunti and the Sun God Surya. Karna was born to become a great hero. Kunti was the wife of the Kuru king Pandu, but he was under a curse that prevented him from producing children, so his queens each had no choice but other methods to bear children. Kunti was a woman who had a Mantra that allowed her to copulate with and bear the child of any god and, by those means, gave Pandu children, but before she became the king's wife, she tested the mantra and bore a single child. That child was Karna, the golden hero who was born from relations with the sun god Surya. Kunti was a determined woman and, afraid of her first birth and anxiety over whether the god would acknowledge his own child. "I want proof that this child is your son." Kunti prayed to Surya who heard her prayers and as proof of being the son of Surya, he was given a golden armor that granted invulnerability. Not knowing who his mother was, Karna grew up with a low social status. However, he soon made his existence known to the world by becoming the honored guest of the Royal House Kauravas, who were hostile to King Kuru. Karna participated in the wars around the borders and fought on an equal footing with Arjuna, son of Kunti and Thunder God Indra. Karna eventually fell in battle of Kurukshetra after being robbed of his golden armor by Indra who disguised himself as a beggar, Karna was known as the Hero of Charity and could not go against his ideals, he was a saint with the creed of not refusing when people came to ask or rely on him. Indra, who was touched by how gallant a figure Karna was gave him his spear and the power "Vasavi Shakti". 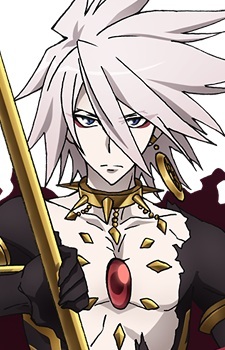 At the end Karna died after losing his allies and suffering many curses that were put on him in the past.